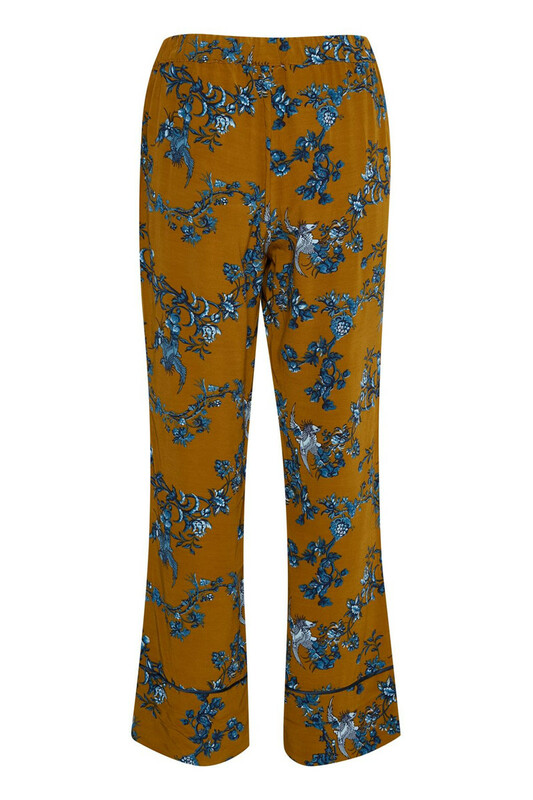 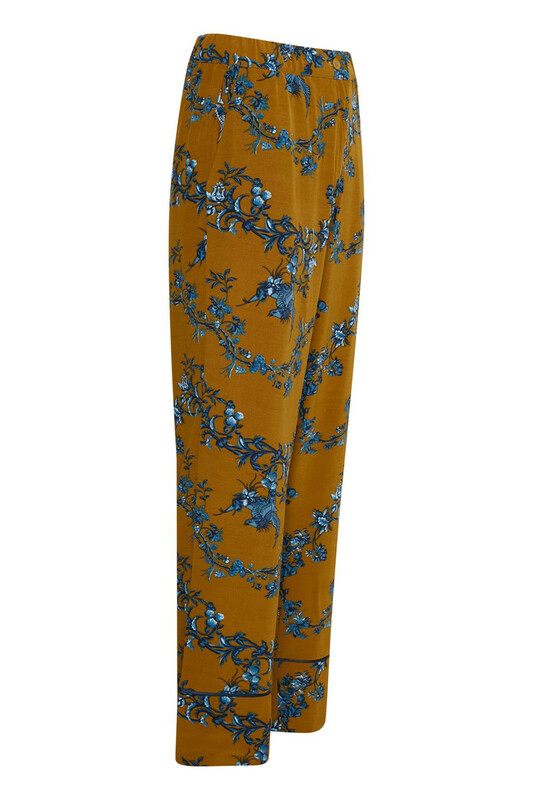 Beautiful printed trousers with wide legs. The trousers have a regular fit, wide legs and side pockets. 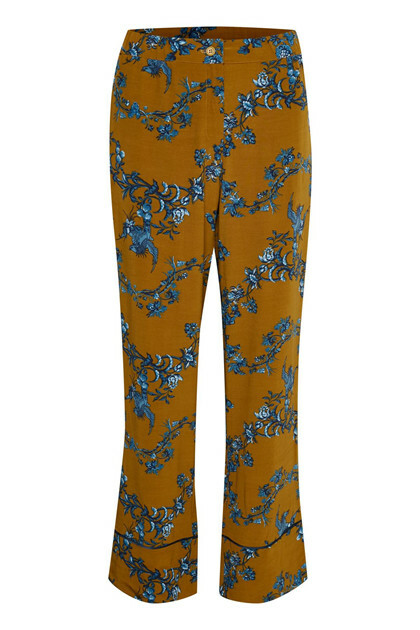 The trousers do up at the front by a zip and button, and the elastic at the back of the waistband gives a good fit.